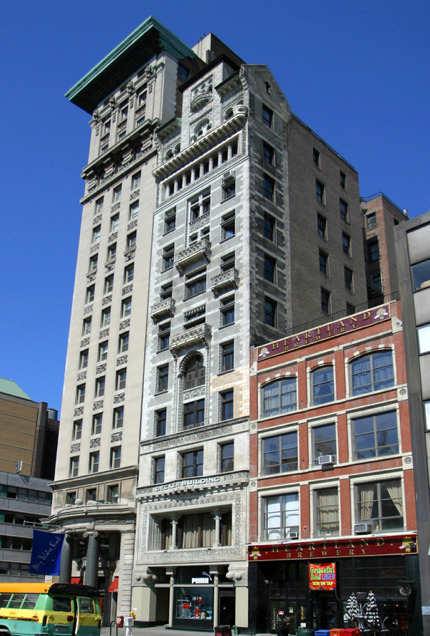 Built in 1903 by Bruce Price, the Bank of the Metropolis is a striking 16-story high-rise that is as impressive now as it was when it was built. 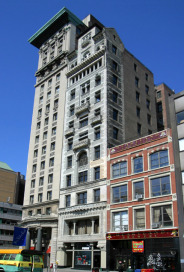 Located at 31 Union Square West, right across the street from Union Square Park, the Bank of the Metropolis is a tripartite luxury building built in the neo-renaissance style with an imposing limestone-clad exterior. The Bank of the Metropolis retains its classical austerity; the 2-story bowed portico with polished granite columns leads into a marble lobby that transports residents back to New York’s era of classic luxury. The Bank of the Metropolis was designated as a landmark in 1988, and deservedly so. This luxury pre-war building is an architectural marvel with fully modernized luxury rental apartments. The majority of the 76 luxury apartments in the Bank of the Metropolis have large southern exposures, and there isn’t a single apartment in this luxury rental building that doesn’t have great views. These apartments have undergone extensive renovations of every last detail: the living rooms have dark-stained hardwood floors and oversized windows; the kitchens feature stainless steel appliances, custom walnut cabinetry, and Silverstone counters; and the bathrooms boast Italian mosaic glass tile walls, porcelain tile floors, and Harsgrohe fixtures. Additionally, all of the pet-friendly luxury apartments in the Bank of the Metropolis feature a washer and dryer. Amenities at the Bank of the Metropolis include a full-time doorman, live-in super, and in-house laundry. And it’s hard to overstate how good the location is; living directly on Union Square puts residents in the middle of one of Manhattan’s premier cultural hotspots. The Flatiron District is renowned for its chic shopping, dining, and cultural options, which is why many celebrities of all different kinds call it home. The Bank of the Metropolis enjoys both exceptional luxury and a highly coveted location, making it one of the most desirable luxury rental buildings in the current Manhattan listings. I would like information on apartments in Bank of the Metropolis. Please contact me ASAP.